The Bahamas is home to an iconic marine resident- the Nassau Grouper, but these fishes are in drastic decline. Krista is using DNA analysis to get a picture of the groupers’ population sizes and genetic diversity. This information will be critical for managing them sustainably. The general aim of this research is to understand genetic population structure of endangered Nassau Grouper (Epinephelus striatus) to support their conservation in The Bahamas. Results will be used to inform sustainable and adaptive management of this endangered, but heavily exploited species. 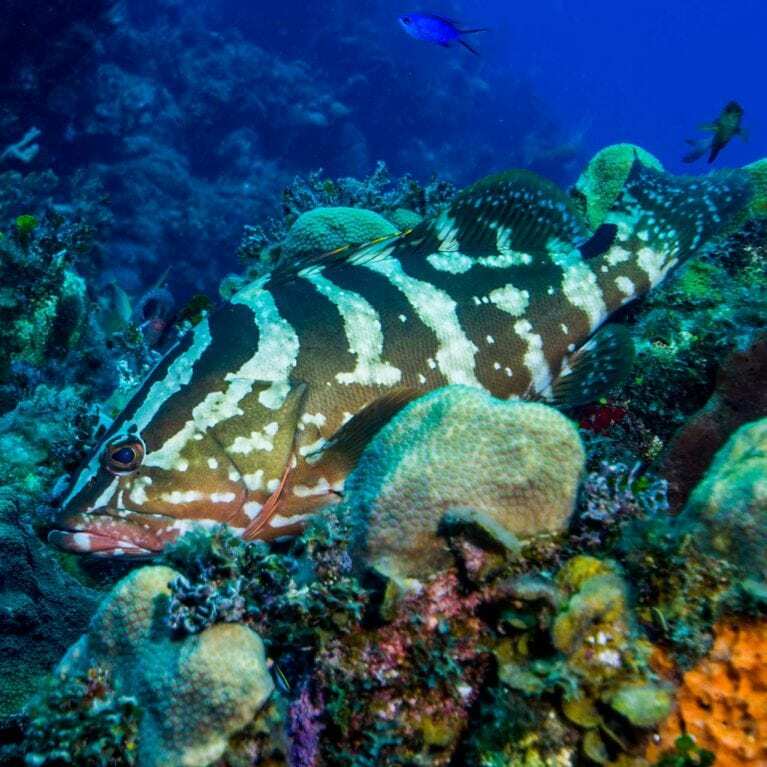 The Nassau grouper was once one of the most important fishery species in the wider Caribbean. Due to heavy overexploitation, however, it is classified by the IUCN as an endangered species and is also a candidate species under the United States Endangered Species Act (ESA). Despite its ecological and socioeconomic importance, very little information exists on the genetic population structure and dynamics of the endangered Nassau grouper. 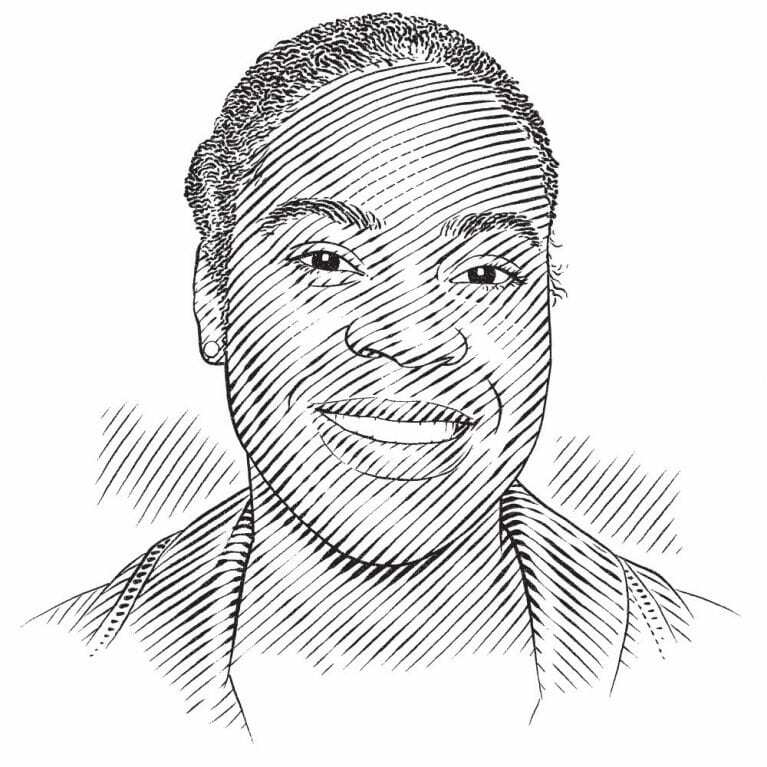 Understanding whether Nassau grouper populations in The Bahamas are comprised of single or multiple populations as well as the intraspecific differences among remaining populations is crucial to develop a robust conservation management strategy for the fishery. The proposed research will generate new genetic molecular information that will underpin the development of a conservation management strategy for the Bahamian Nassau grouper fishery. Nassau grouper are relatively long-lived (ca. 30 years) medium to large predatory fish that occur in nearshore habitats up to 130 m in depth throughout the Tropical Western Atlantic, Caribbean Sea and parts of the Gulf of Mexico. This ecologically and commercially important marine fish forms annual transient spawning aggregations to reproduce during the winter full moons at sites that are often well-known by fishermen, making them extremely susceptible to overfishing. Multiple spawning aggregation sites have been reported in The Bahamas, though mostly through anecdotal information and local knowledge. Very few have been validated through scientific methods, and whether or not many of these locations still support active aggregations has been only minimally investigated. Recent data show not only declines in the number of spawning individuals, but also the complete collapse of some spawning sites. 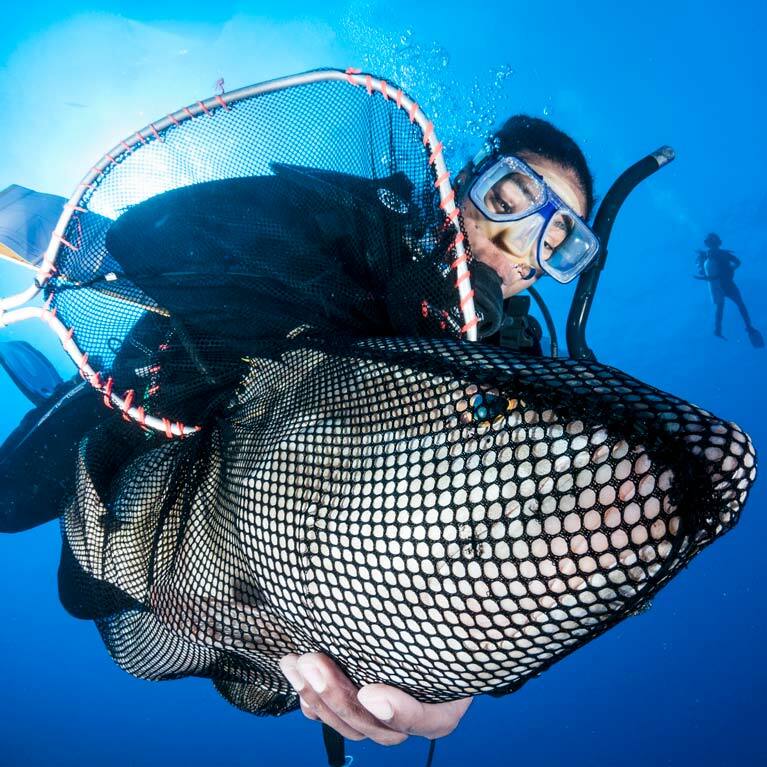 Local fishers have noticed decreases in abundance and sizes of Nassau grouper caught at spawning aggregation sites since the 1990s, and 82% are apprehensive about the long-term viability of the fishery. 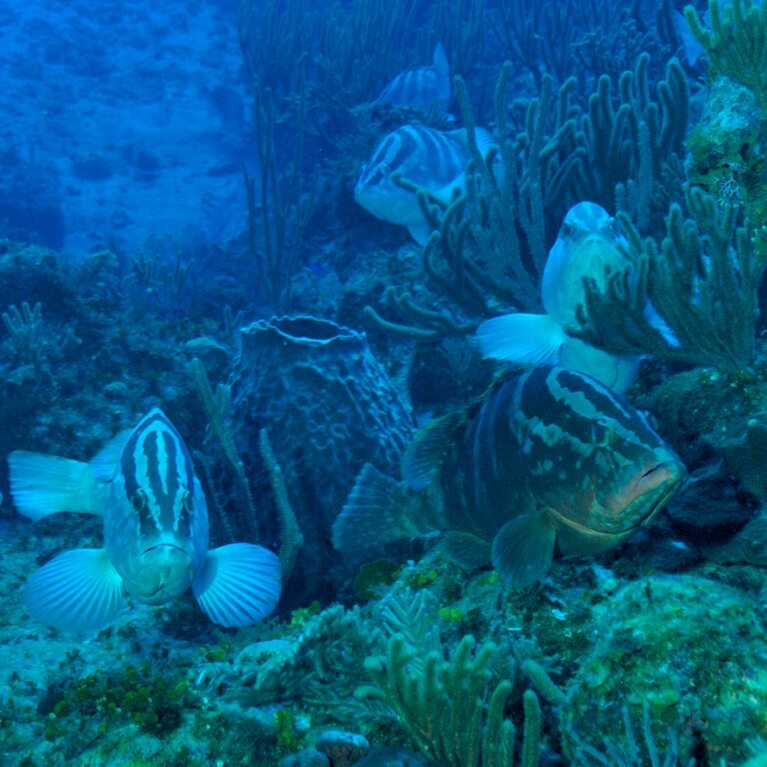 A Study found considerable regional variation in the genetic composition of Nassau grouper throughout the Caribbean, with evidence of subpopulations. Bahamian populations of Nassau grouper, which are the largest globally, may be self-sustaining and genetically distinct compared to Caribbean populations. 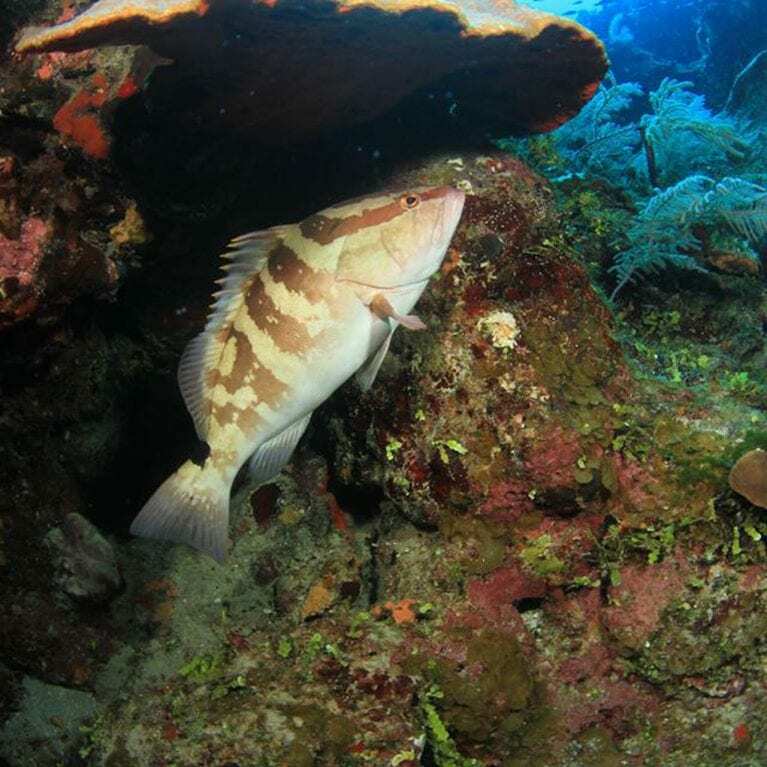 However, the genetic structure, diversity and connectivity of Nassau grouper populations remain poorly understood and unexplored for most of The Bahamas. There is a critical and urgent need to better understand their reproductive biology and to evaluate the status of remaining Nassau grouper stocks to strengthen and inform national and regional management strategies.